In the wake of last year's Democratic primary, it's becoming cool again for young people to self-identify as socialist and communist. “You put private property ahead of people” remains a powerful anathema, as if in the light of all those lessons, private property were not absolutely essential to the well-being, dignity, liberty and lives of human beings in society. 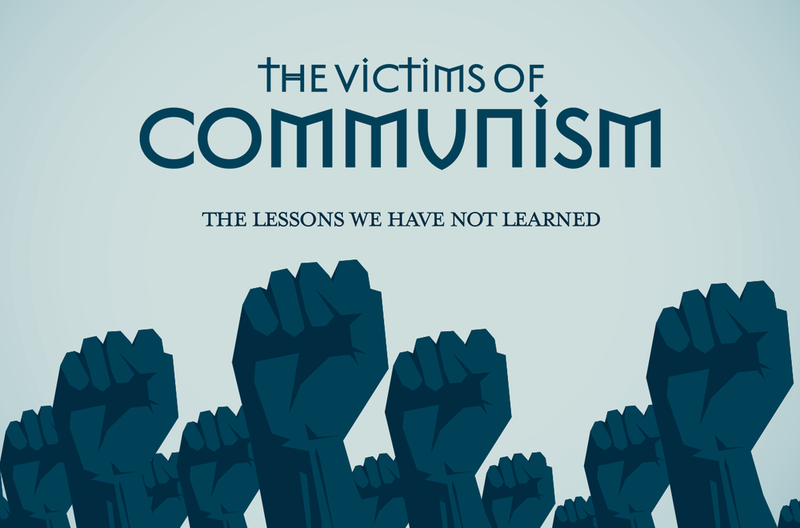 And the real communism? No one remembers and, above all, no one teaches the lessons. For at least a generation, intellectual contempt for liberal society has been at the core of the humanities and the soft social sciences. This has accelerated, not changed, since the fall of the Berlin Wall, and as for the mea culpas, we await them in vain. In this lecture, Penn's Alan Charles Kors examined the legacy of communism, its future...and its true victims. Alan Charles Kors (B.A., Princeton; M.A. and Ph.D., Harvard) specializes in European intellectual history of the seventeenth and eighteenth centuries, with a general interest in the deep intellectual transformation of European thought and a special research interest in the relationships between orthodox and heterodox thought in France after 1650. He has published several books and many articles on early-modern French intellectual history, and he was editor-in-chief of the Encyclopedia of the Enlightenment (4 volumes, Oxford University Press, 2002). He has taught, among other courses, seventeenth-century European intellectual history; eighteenth-century European intellectual history; and various seminars on the French Enlightenment, the history of classical liberalism, and the phenomenon of political disillusionment. He served for six years, after confirmation by the U.S. Senate, on the National Council for the Humanities, and he has received fellowships from the American Council for Learned Societies, the Smith-Richardson Foundation, and the Davis Center for Historical Studies at Princeton University . In 2003-2004, he was a Phi Beta Kappa Visiting Scholar, lecturing around the country on early-modern intellectual history and on academic freedom. He has won the Lindback Award and the Ira Abrams Memorial Award for distinguished college teaching and several national awards for the defense of academic freedom. In 2005, at the White House, he received the National Humanities Medal, for, according to the citation, "his study of European intellectual thought and his dedication to the study of the humanities. A widely respected teacher, he is the champion of academic freedom." He has taught seminars at the Ecole Pratique des Hautes Etudes of the University of Paris, The Folger Library, and the University of Leiden, and he gave the TB Davie Lecture on Academic Freedom at the University of Cape Town. He has served on the Board of Governors of The Historical Society and on the Executive Committee of the American Society for Eighteenth-Century Studies. In 2008, he was awarded the Bradley Prize. His two latest works are Naturalism and Disbelief in France, 1650-1729 (Cambridge University Press, 2016) and Epicureans and Atheists in France, 1650-1729 (Cambridge University Press, 2016), completing a trilogy on the diverse origins of atheism in early-modern France.